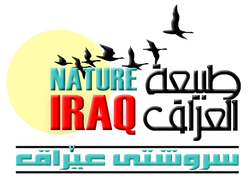 Please note that Nature Iraq is registered as an NGO in Iraq and is not a US 501(c)3 nonprofit entity. You can support Nature Iraq through Nature Iraq Foundation (NIF) by shopping with AmazonSmile. All you need to is to register here and start your shopping at smile.amazon.com. You shop, AmazonSmile gives, and the environment of Iraq gains. Nature Iraq is registered with 1% for the Planet in the hopes of getting businesses’ financial support in order to create a healthier planet for everyone.